There are so many countries who have a limited supply of water. Some people have to walk a couple of miles just to attain the water even if it's not clean. I can't believe how many people take advantage of clean water while others have to deal with dirty water that makes them sick. I started this fundraiser because I want to change that one donation at a time. There shouldn't be any more sickness or death simply because of dirty diseased water. 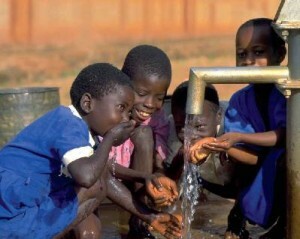 Please help me build a well, and stop the suffering.